It is not clear why Fin24 felt the need to publish an article by an economist who uses a pseudonym. Once can only assume that this ‘economist’ either doesn’t exist or that they are not too sure of their facts. South Africa is a democracy, with guaranteed freedom of expression and association. Around this time last year Eskom was implementing load shedding almost every day, and some energy analysts had even projected that it would take between three and five years to arrest the situation. Some analysts even predicted total collapse of the power grid in a few weeks, which later turned into months, and now a deafening silence. Now that Eskom has managed to contain load shedding, with nine successive months without load shedding, many of these ‘experts’ are now saying the absence of load shedding has nothing to do with Eskom’s rigorous maintenance programme, and the fact that at least one unit of the Medupi power station is now commercially operational. Earlier this year the Business Day attributed the current stability on the power system to pure luck. The editorial went further to even suggest that Eskom was not doing maintenance in order to artificially keep the lights on. In winter of last year, some energy experts were quoted as saying that the only way out of this situation was for Eskom to use power barges (power ships) as a short-term solution before Medupi, Kusile and Ingula come on stream. Read also: van Vuuren: Loadshedding free as demand slumps. Not Eskom’s turnaround strategy. The anonymous correctly notes that a slump in economic growth has contributed to the current low electricity demand. But that is where they stopped. In his or her analysis, there can’t be any other reasons for the absence of load shedding. In our media briefing last Friday, and a few others before, we did acknowledge that there has been a slight drop in demand due the current low demand in commodities, and that some of the large industrial customers have scaled down their electricity demand until the demand picks up again in future. But that is not the whole story. Other contributing factors include Eskom’s rigorous plant maintenance programme which has resulted in over 2000MW being brought back on stream. Adherence to a strict maintenance regime has also helped to reduce a number of breakdowns, which was a big factor last year that made our power system to be unreliable and unpredictable. In addition, Medupi’s Unit 6 is also contributing nearly 800MW into the grid. Read also: Eskom’s ‘Bad Planning’ punishing consumers. More pain to keep lights on. Another factor is the contribution of 1 800MW from the independent power producers (IPPs) as per government’s plan to allow new entrants into the power generation market. The Department of Energy announced this week that an additional 7000MW will come on stream from the IPPs in the next few years. The success of the energy efficiency campaign is also another factor. Many more households and businesses are now more conscious of how they use electricity than before. All these factors played a role in helping to stabilise the power. Choosing one over the others is tantamount to wilfuly misleading your readers. Our readers and audiences in general deserve better, they need to know all the facts so that they can make up their minds based on hard dispassionate facts. As Irish playwright Oscar Wilde once noted that, “We’re all in the gutter, but some of us are looking at the stars.” With the power system turning out differently than initially projected by some analysts, I think it is safe to say some of our analysts and writers are not looking at the stars but are seeing the stars. While all South African’s including myself are grateful for the fact that there has been no load shedding for months (and we hope to never see it again), it does not change the numbers that was published on Biznews and republished on Fin24. The fact remains that Eskom’s total power output has declined by almost 16% since the middle of 2007 (no sign of that 2000MW from maintenance and 800W from Medupi you mentioned), while the power output of independents has increased by almost 30% over the same time period. 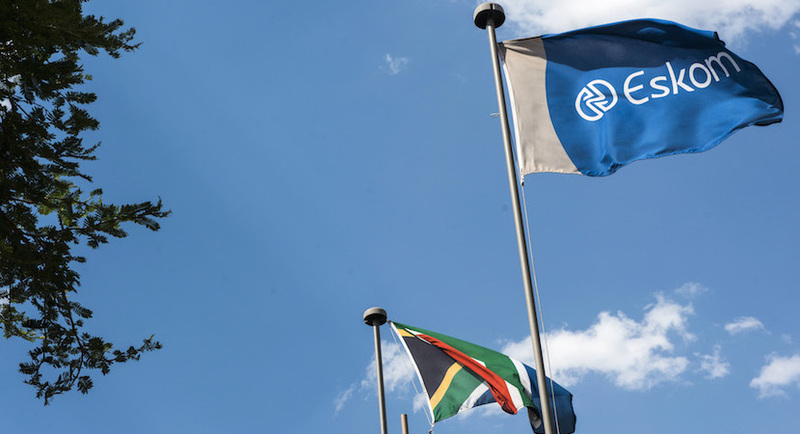 Thus to state that Eskom’s maintenance efforts and new power coming online from one of Medupi’s units has helped to stop the occurrence of load shedding holds little water, as Eskom is still generating 16% less energy than they did in 2007. So the fruits of rigorous maintenance and a unit of Medupi coming online is less power being generated than 9 years ago? Don’t think so. Therefore the only other conclusions that can be made for why there is no longer any load shedding is that consumers and businesses have become more energy efficient, demand has dropped off significantly due to economic circumstances or independent power producers have started to contribute more (as the numbers show). All of these possibilities hold more water than saying Eskom’s efforts has resulted in the disappearance of load shedding as their efforts has resulted in nothing more but a decline in level of power output produced since middle 2007. As for my anonymity. While our democracy allows for freedom of expression and association, it also allows me the right to privacy.